Note - The items will not appear in the shop until the time of the sale. 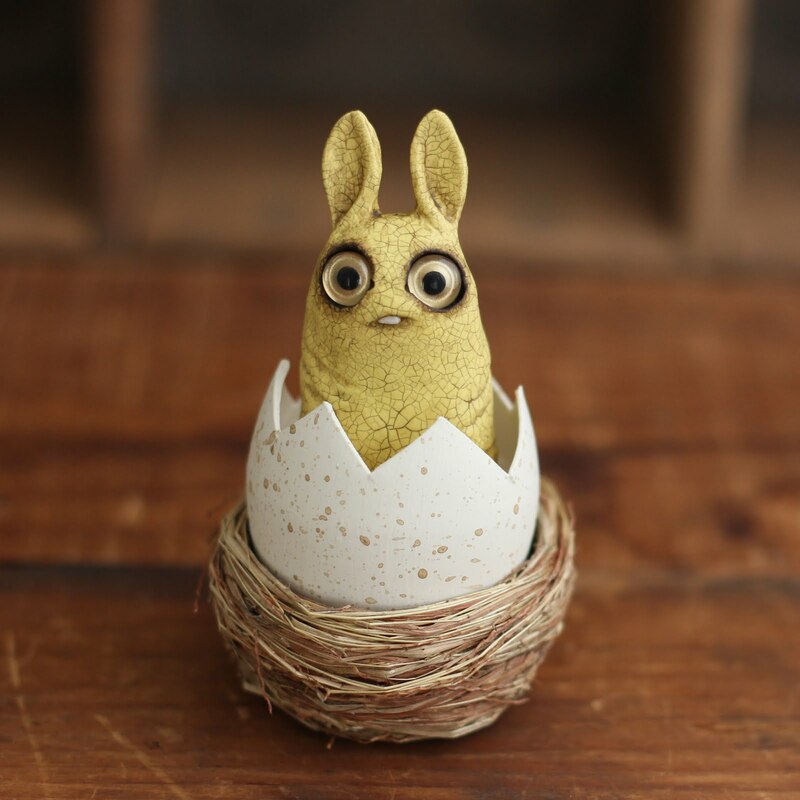 Yellow Hand Painted Pipsqueak in egg with nest. Pipsqueak can be removed and displayed separately. Egg is hand painted by the artist, and has a solid, felt-covered area inside for Pipsqueak to sit on. Pink Hand Painted Pipsqueak in egg with nest. 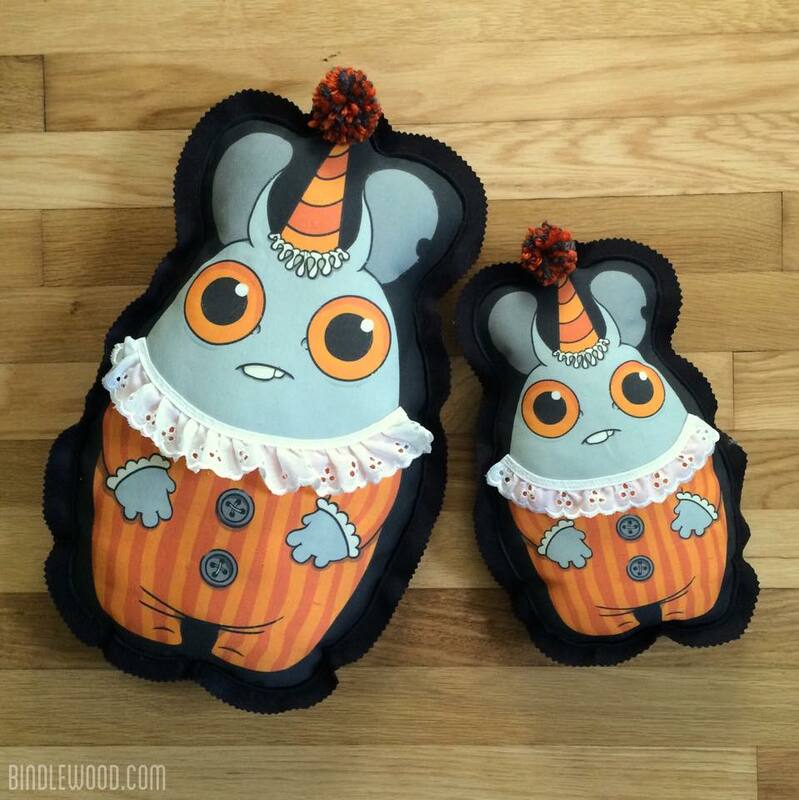 Pipsqueak can be removed and displayed separately. 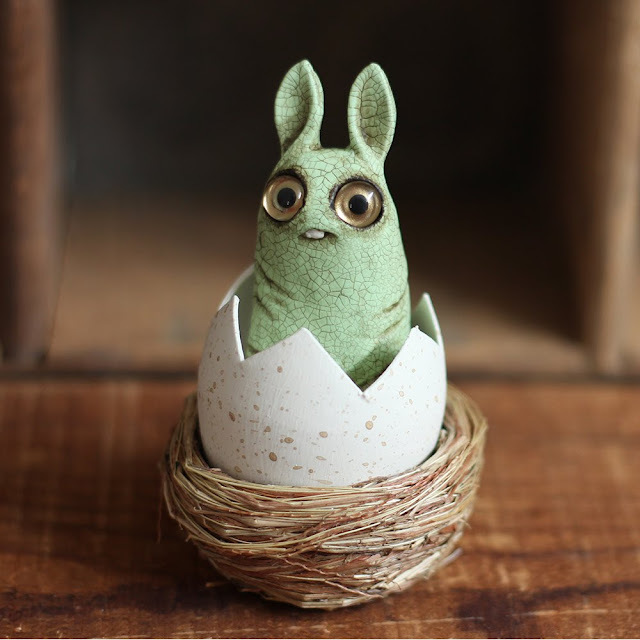 Egg is hand painted by the artist, and has a solid, felt-covered area inside for Pipsqueak to sit on. 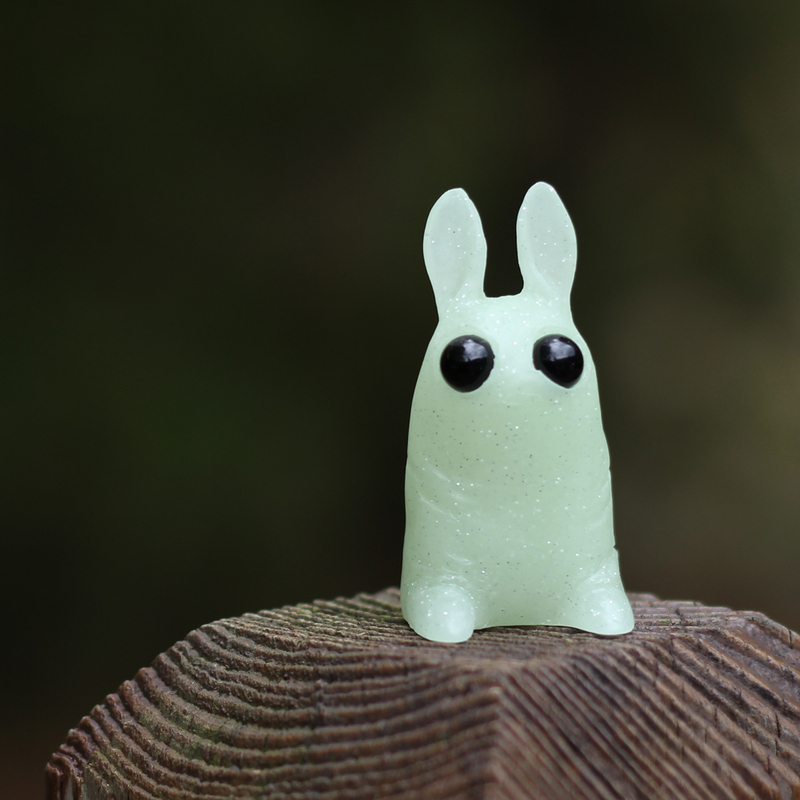 Green Hand Painted Pipsqueak in egg with nest. Pipsqueak can be removed and displayed separately. 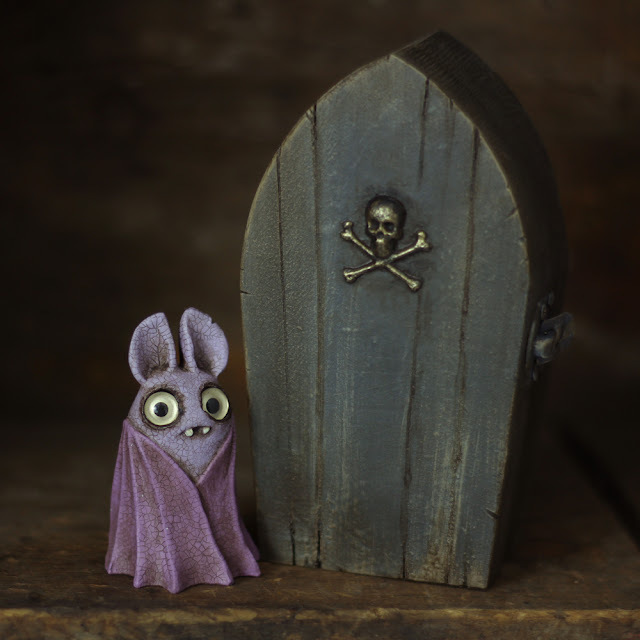 Egg is hand painted by the artist, and has a solid, felt-covered area inside for Pipsqueak to sit on. Blue Hand Painted Pipsqueak in egg with nest. 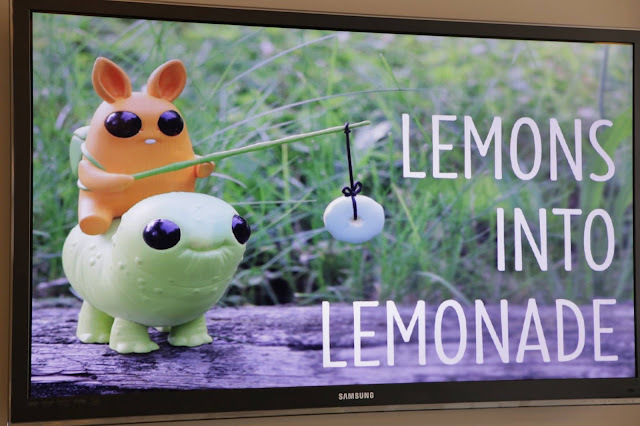 Pipsqueak can be removed and displayed separately. 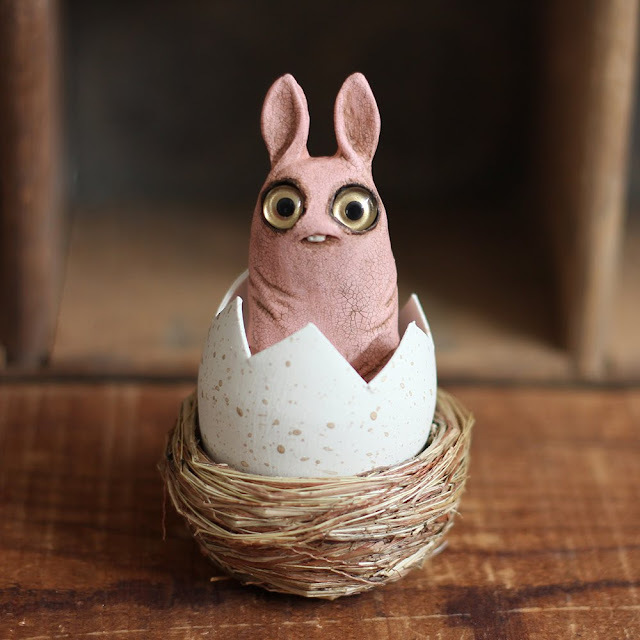 Egg is hand painted by the artist, and has a solid, felt-covered area inside for Pipsqueak to sit on. 2.25" tall (approximately). 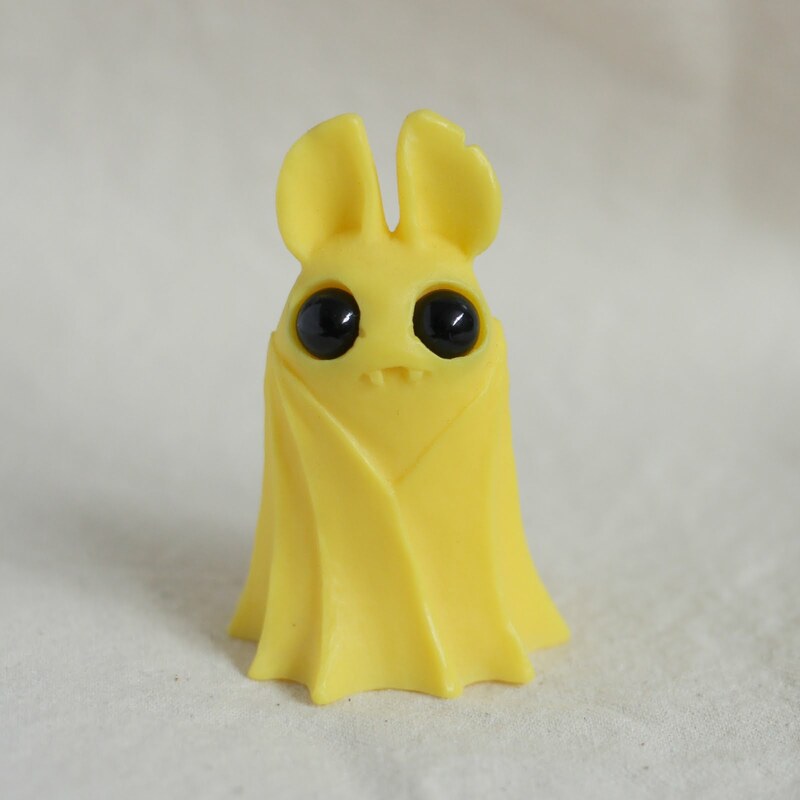 Solid yellow resin with acrylic eyes. 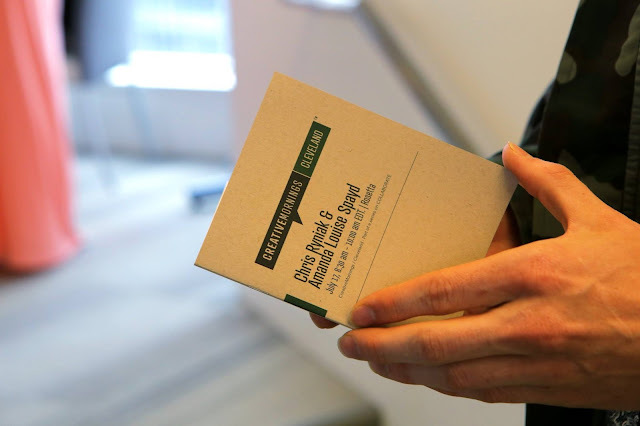 Bagged with printed header card. Cushions are designed by the artist, and professionally printed on linen-cotton canvas. Appliqued onto black wool/rayon felt, and stuffed with natural cotton for a dense, weighty feel. Raw glow color with silver micro glitter. 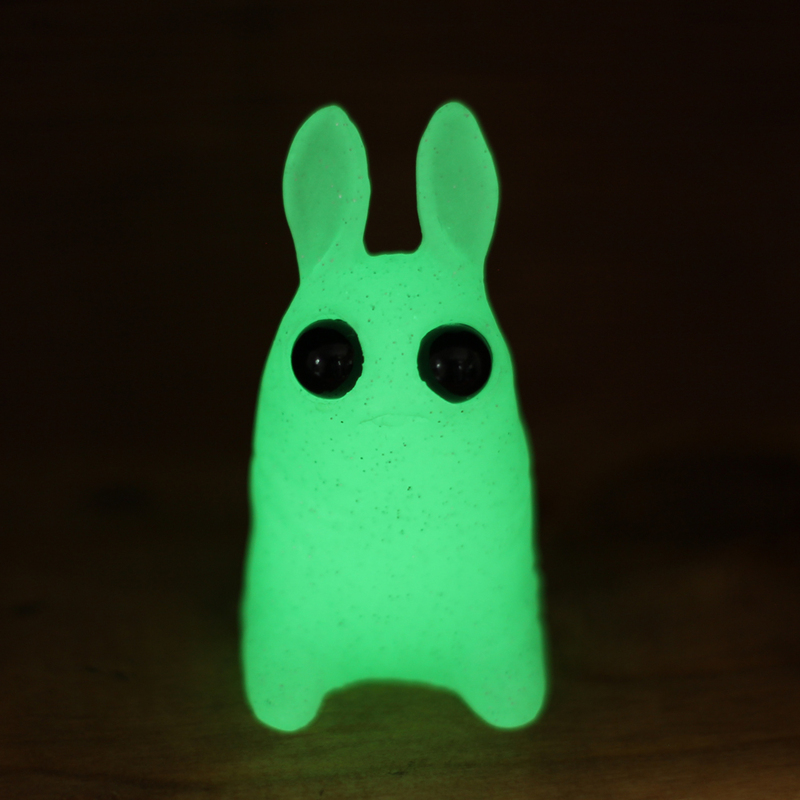 Glows in dark and under blacklight. 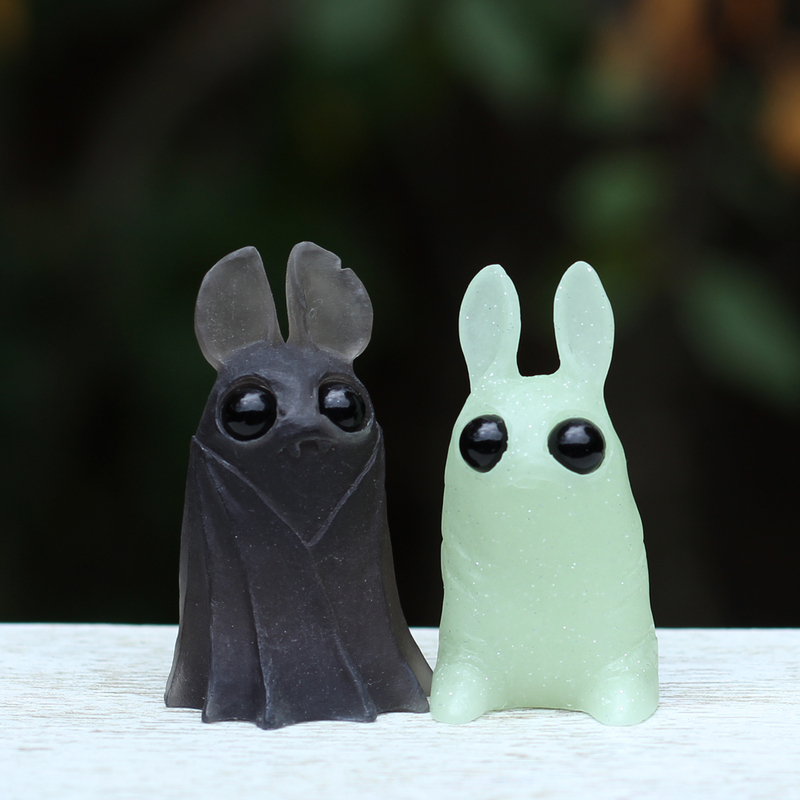 Smokey Belfry and Glow in the Dark Pipsqueak two-pack. Hand Painted Belfry with custom wooden coffin storage/display box. The stage area was like something from Mtv! This past week, Chris Ryniak and I joined thousands upon thousands of comic, art, and movie fans in Manila for AsiaPop ComicCon. 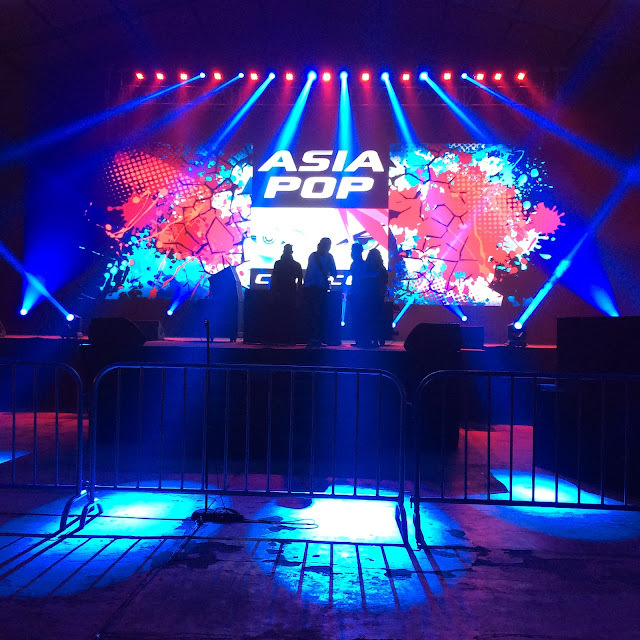 This event was not only the inaugural AsiaPop ComicCon, but also one of the biggest events of this type ever held in Manila! One thing I really love about my job is that it takes me to so many new places - many of which I would probably never get the opportunity to travel to for any other reason. I love traveling, however some places are easier to travel to than others. Manila is far away from me...like FAR FAR away! It took a total of about 19 hours of flying (not including time spent in 4 different airports) to get there. That's a pretty intense amount of travel, but I suppose the idea that you can literally go to the opposite side of the entire world in less than a day is fairly amazing. Plus, I got to catch up on a lot of movies while in the air. We signed so many Thimblestump butts! The major caveat to traveling across the globe for events like conventions is that you actually don't get to see very much of the surrounding country. The more of these things I am fortunate enough to do, the more I feel that I'm getting a small glimpse into what a lot of celebrities (not that I am one, not even close) have to do all the time. You're shuttled from the hotel to the convention center for a whirlwind experience, and after it's done you leave. It is actually very un-glamorous for the most part! 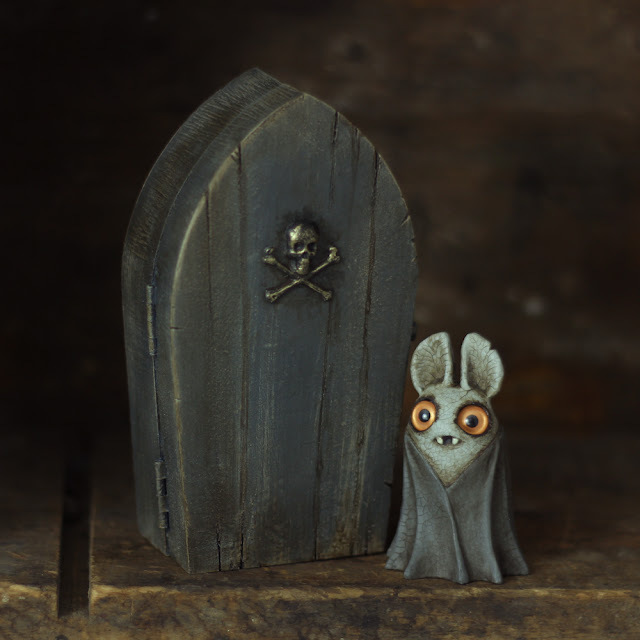 I shared a booth with Chris Ryniak in the "Guest Area", a large expanse of black carpet toward the back of the convention hall that was lined with booths around its perimeter. In our area we had artists, YouTube personalities, models, and cosplayers. From the time we got to the convention center in the morning to the time it closed every day at 8 pm we were busy. Our table was rarely without people in front of it, and at times we were five people deep with folks waiting to purchase or have their program signed. It was intense! With no exaggeration, I'd not be surprised to find out that I signed well over 1000 things over the course of the convention - it was that crazy! 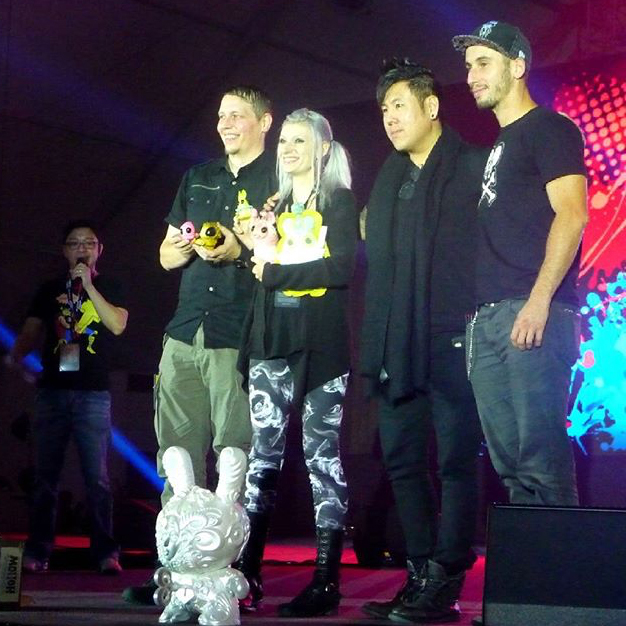 The "Independent Toy Production" panel, with me, Chris Ryniak, JRyu, and Simone Legno from Tokidoki. One major thing I learned about The Philippines? The people there are some of the nicest, warmest, and friendliest people I have ever met. Everybody wanted to say hello, and people were so excited we were there - it was really an incredibly welcoming feeling! Here in the States I think we take a lot for granted; we have big Comic-Cons in almost every big city, and we have access to so much of the entertainment industry. It's easy to assume that it's like that for everyone, but it's not. 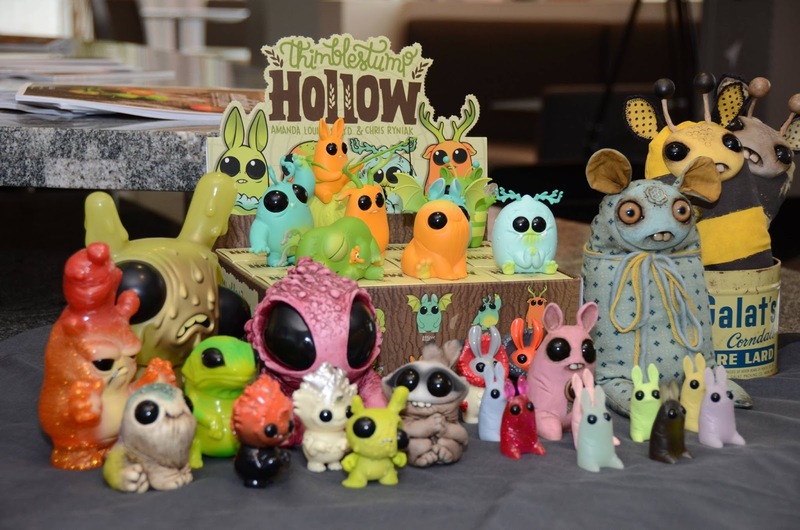 This was the first convention of its kind in Manila, and everybody was very excited to be there. And they totally deserve more of it - that enthusiastic and positive energy was just so tangible and electric. It was a really fun show! 1) Los Angeles traffic, even at its worst, has NOTHING on Manila traffic. It's amazing, and somehow, people still get where they are going. 2) The fruit. Oh my gosh, the fruit. I ate so many mangoes. I think it may have been the first time I have ever eaten a truly ripe mango, and it was glorious. Every day I stuffed my face with mangoes, pineapple, dragonfruit, mangosteen, and coconut. Here in the northern U.S. we have some choice fruits that we're proud of (cherries, strawberries, apples), but when your growing season is pretty much all year long, you're blessed with an abundance of amazing produce! 3) The heat is no joke. I wondered why the air conditioning was so blasted cold in all of the buildings - I was about freezing to death the first day of the convention - until we had to walk to a nearby mall (less than a mile away, in mostly shade) and were sweating profusely and thought I was going to die..... at 9:00 am. 4) The cookies are all made of dust. We were gifted a lot of snacks, and it seemed like every cookie or candy that I had looked like it was solid, but when it got in my mouth it just sort of dissolved into a powder and coated the entire inside of my mouth. They taste awesome, but you really have to be careful not to inhale at all while you're eating it (learn from my mistakes)! 5) The raindrops are the size of ping-pong balls, or larger. When it rains in the Philippines, it's serious business. Don't look up, or you might drown. I suggest ducking into the nearest shopping mall, which is itself the size of a small city. 6) 4,164,912 Philippine pesos equal 1 US Dollar. Well not really, but it felt that way when handling all of those bills with so many zeroes! Thank you to everyone who came by our table to say hello, and to everyone who was so helpful and warm and welcoming. I sincerely mean it when I say it was one of the friendliest places I've ever been, and though we sold stuff and did our jobs there, the people are definitely what I'd go back for. I truly hope there is a next time! 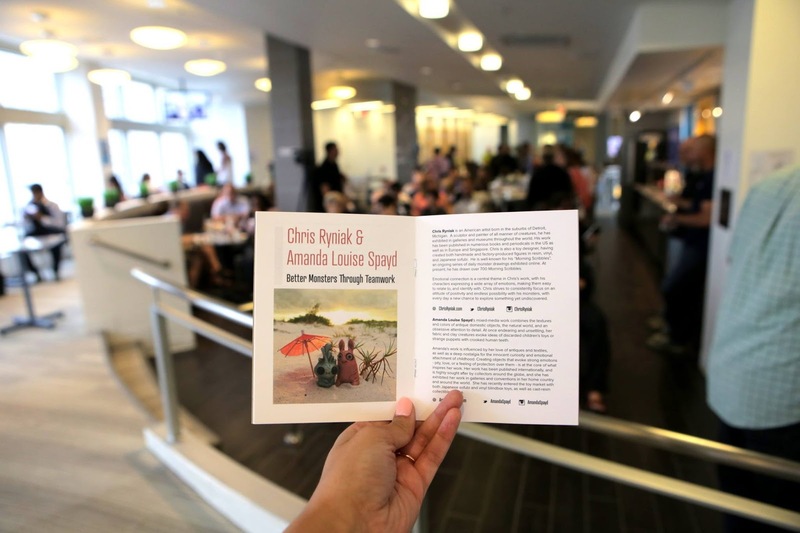 Last Friday, Chris and I spoke at the Cleveland chapter of Creative Mornings. Creative mornings is a breakfast and lecture series held in cities worldwide, where creative professionals (or anyone interested in creative or artistic ventures) can go to meet other creative folks, have a locally catered breakfast and coffee, and enjoy a short lecture from someone in the creative community. 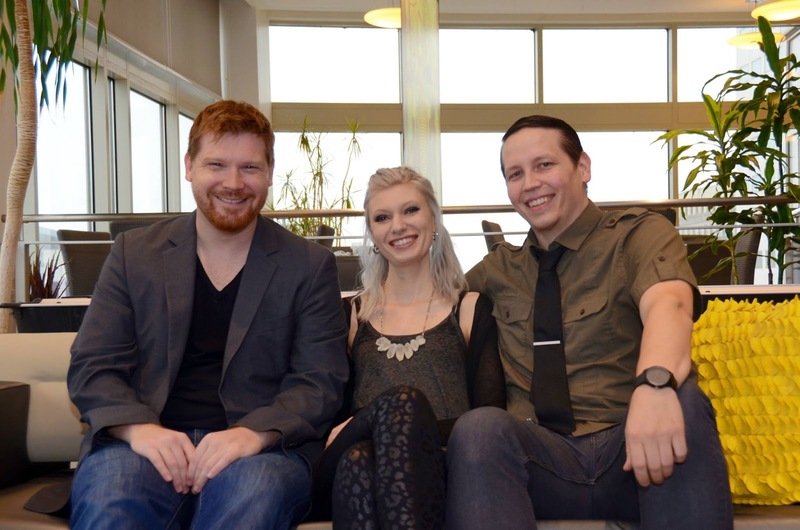 Chris and I are wanting to be more involved in our city, as both of us have lived in Cuyahoga county for some time, but aren't incredibly active artistically here. We want to meet some new people here. Despite what a lot of out-of-towners think Cleveland is like, there is a lot of great stuff here. I mean, yeah, it's a small city on a huge lake, we have brutal and depressing winters, and our river did catch on fire that one time. But Cleveland also has an amazing emergent food scene, tons of incredible historic architecture, close proximity to beautiful natural parks, and some really unique neighborhoods. It's a place I've lived for a long time, but now I really want to get to know it better. 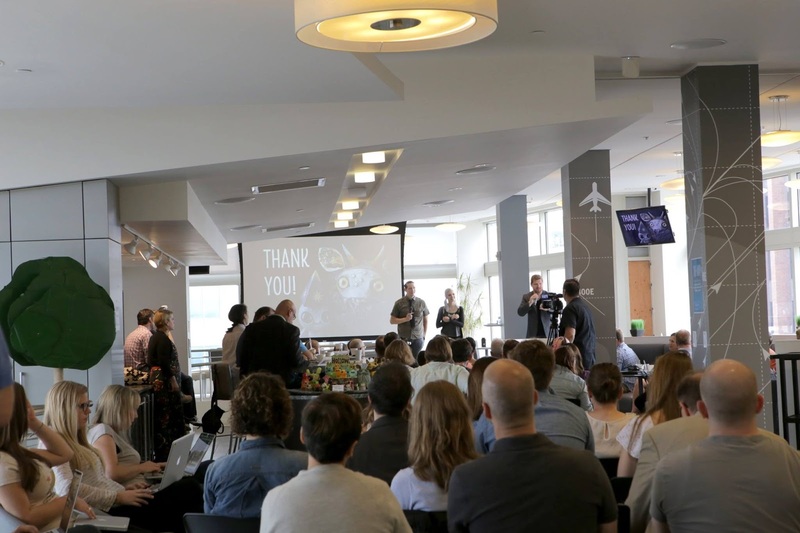 And what better way to get to know a place than to get to talk to a bunch of its resident creative professionals in a great space, over amazing coffee and good food? The theme for this month's lecture was "Collaboration", which, conveniently, is something Chris and I know a lot about. We spent some time talking about Thimblestump Forest, which being our most recent collaborative project, was easy to use as an object lesson. We had over 100 guests in attendance, and really enjoyed getting to know everybody we talked with. It was a great experience and I'm really glad we made the time to prepare for it! A small display of our toys as visual aids. Special thanks to Thomas Fox for organizing the event, and Rosetta Agency for hosting us in your beautiful space. All photos are by Aaron Erb. Topics of our talk included "Trust", "Communication", and "Making Lemons into Lemonade"
Thomas Fox (organizer at Creative Mornings CLE), with me and Chris. 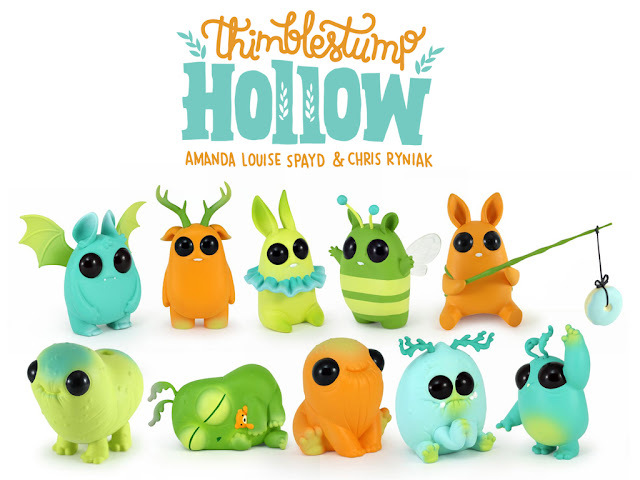 Chris and I went to San Diego Comic-Con last weekend to promote and celebrate the debut of our collaborative vinyl blind box toy series, "Thimblestump Hollow", produced by Cardboard Spaceship. We were only there for about 2.5 days, and it was a whirlwind trip. In fact, it was such a whirlwind trip, I actually don't have much in the way of photo documentation of my experiences, as I was much to busy actually having the experiences to take pictures of anything! I came away from the con with a lot of thoughts and feelings. The first of which was a profound sense of gratitude toward all of the people who made, and are making, my first experience in mass-produced vinyl an amazing one. The team at Cardboard Spaceship, who spearheaded and handled the logistics of this whole thing are amazing guys, and without their interest in our artwork, and their trust in us, as well as their confidence that it would be a success, it would never, ever have come about. Secondly, the collectors - both experienced and brand new - who purchased anywhere from one figure to five cases of figures, made both of us feel incredibly humbled and very grateful. On both Friday and Saturday, Chris and I were stationed in our booth and available for signings, chatting, and doodles. And that is what we did, for upwards of four hours straight at a time. I spend most of my time in my studio working, and I don't get out much. The number of people I interact with on a weekly basis is low enough that i can probably count it on my fingers, so to have so many people waiting in line so patiently to come back and get toys signed and hang out with us was just so, so amazing. To all of you, thank you from the bottom of my heart. Your passion and enthusiasm for this weird little art form we love is the only reason we can all do what we do, and it's recognized and appreciated more than you know! I think Thimblestump Hollow is doing really well - we had a lot of really positive input from a huge array of different people, and it was great to meet folks who had never even seen a blind-box toy before, let alone get excited about buying one. I think that kind of transcendence of "scene borders" is something Chris and I were striving for in this series. These guys are all weird little creatures - they don't know what's cool or what isn't. They have no clue about pop culture. 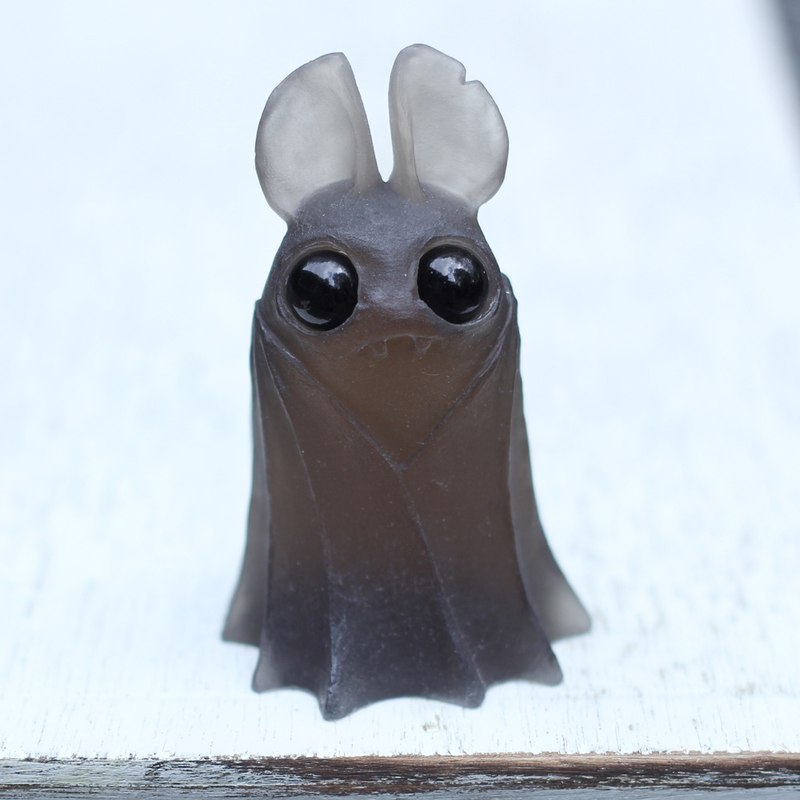 They just exist in their own plane, and are way stupid cute, and I think they're something that everybody can like. That's not a marketing thing, either; it's kind of how I like to fit into my own world. in a sketchbook in the Cardboard Spaceship booth. Another thing I was thinking about the whole time I was there is just how strange and lucky and fortunate and amazing it is that I am able to do a whole bunch of cool stuff just because I make things. I mean, seriously! In the next year, I will be traveling to 3 different countries to do art-related things. I've had the privilege of visiting major movie studios, and have been able to meet and talk to so many amazingly talented and fascinating people in the arts and entertainment industry (just this last trip I was fortunate enough to meet both Frank Ippolito and Adam Savage at the Tested party), and this is all because I come up with dumb scenarios in my head and find ways to use my hands to get them out into the world. Trust me, I am as surprised as you are that this works! When I go to conventions and art/entertainment related get togethers, one thing I always notice is that no matter how high their professional station, people who are "makers" of one thing or another always like to meet others like them. Put a bunch of working creatives in a room together and just watch how fast they start to talk shop, even if they've never met each other. Passionate and creative people love to talk about their passions. The more influential people I meet, the more I see this to be true, and that is most likely a key part of what makes them so influential and successful. They have an incredibly infectious sort of passion for what they do that people around them can't help but feel it too. It's a totally passive sort of influence. It's awesome. How I try to live my life. More than anything, these kinds of events, because they are so dramatically different from my day to day reality (get up, coffee, work on stuff, wine, go to bed) make me think and plan at a frantic pace. Opportunities can be difficult to come by in the art world, so I'm trying to capitalize on them as much as my body and mind will allow me to. I'm not in my twenties anymore, so my days of coffee-fueled all-nighters are over, but I'm trying to keep my mind clear, my body healthy, and my production schedule full and exciting. There are so many amazing things on the horizon, and I'll never not be truly thankful for them. PS: super mega-thanks to Jamey, Nick, and Derek from Cardboard Spaceship for all your hard work to make Thimblestump Hollow what it is, Chris for being my partner and putting up with my crises, Frank Ippolito for bringing us to the Tested party, Ayleen and George Gaspar for inviting us to be a part of the Independent Toy Design panel, and every single person who stopped by to pick up a figure or just say hello while we were at SDCC. It was so nice to meet you all - hope to see you again soon! Hello, I'm Amanda. 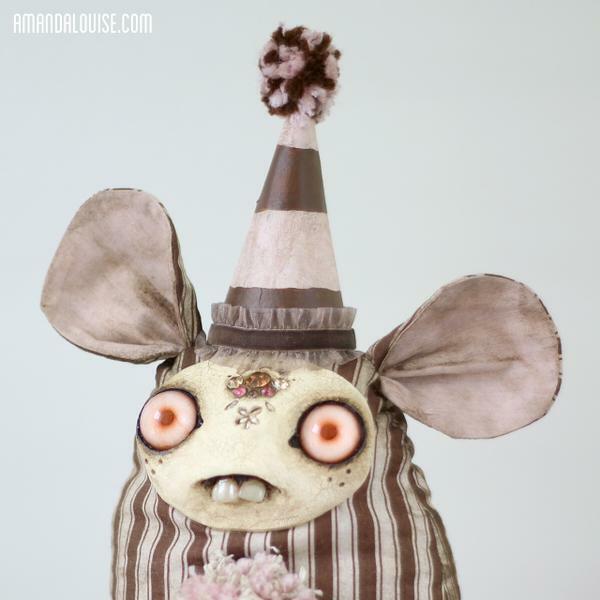 I'm an artist and designer, and creator of Dust Bunnies art dolls. All images and content copyright Amanda Louise Spayd. Powered by Blogger.